Left to Right...Contender, Gold Rush, Roma II, all seeds from Botanical Interests. And after she picked green beans, she accepted the garden fairies' invitation to sit in the garden with them and dine on golden raspberries and cherry tomatoes. Their conversation was pleasant and enlightening, even uplifting. After eating and talking, she walked around the garden with the garden fairies, admiring and exclaiming over the tasseling corn, the ripening tomatoes, and the tiny cucumbers just coming on. The garden fairies' parting gift to her was a little cucumber which she sliced and ate as soon as she got home. I sowed the bean seeds in the garden on May 19th, and protected the seedlings from the rabbits using plastic forks. Watering was done by Mother Nature. I have two short four foot rows of each variety. I picked the first mess of beans on July 4th. I picked these beans on July 9th. If you don't know where to start with growing your own food, start with green beans. They are easy to grow in a sunny location. 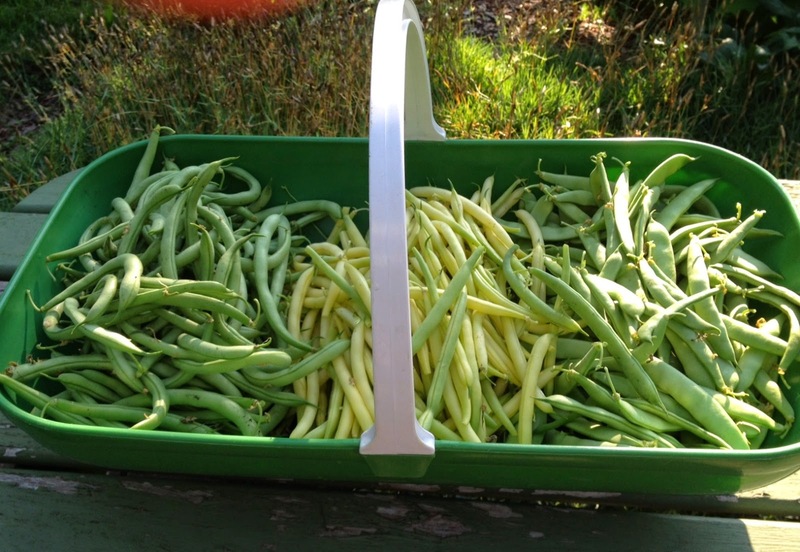 I agree that green beans are a good starting point for veg growing, as they are reliable and prolific - you don't even need a hand from the Garden Fairies ! Love fresh green beans. Unfortunately, I don't have a place to grow them.